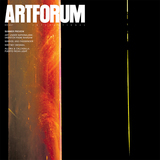 Lydia Okumura, Untitled I, Installation at Pratt Institute Gallery, Brooklyn, NY 1980; SP 2017, 1980/2017, acrylic and cord, 7' 6 1/2“ × 14' 5 1/4” × 5' 10 7/8". With little more than acrylic paint, graphite, and string, Lydia Okumura’s large-scale artworks heighten viewers’ perceptions of space. 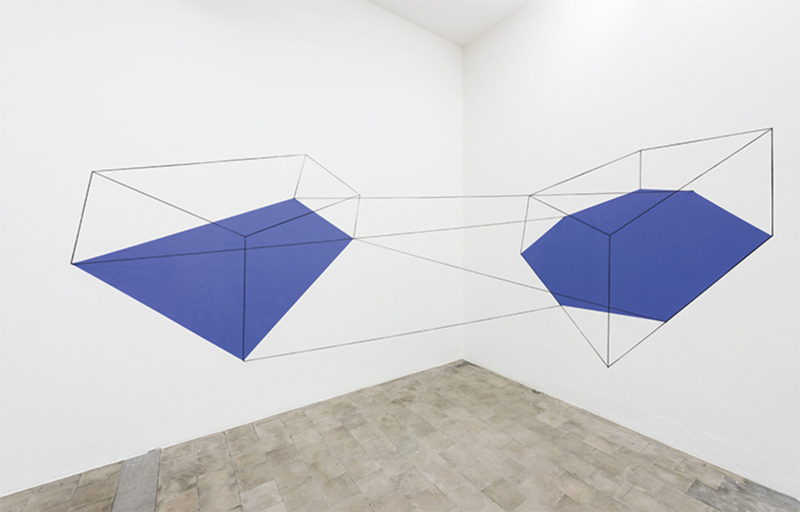 For the installations and wall drawings in “Dentro, o que existe fora” (Inside, What Exists Outside), the artist used colored planes to form simple geometrical compositions that nonetheless produced complex experiential effects, giving the impression of three-dimensional shapes folding into and out of the corners, walls, and floors of the gallery, as if collapsing out of and drawing viewers into revealed spaces existing parallel to the structural planes of the architecture.